"I coach with Chael. Is good for fight." It turns out, the former UFC middleweight champion has had a change of heart. 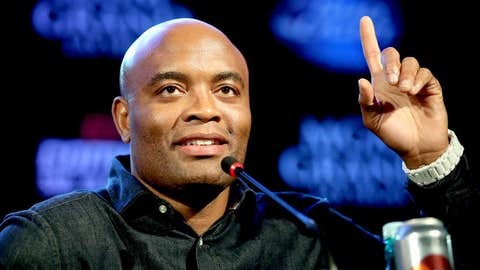 Silva, who has had a bitter rivalry with Sonnen over the years, is going to try his best to figure out a way to coach on the show, his manager Jorge Guimaraes told UFC Tonight’s Ariel Helwani. The pound-for-pound best MMA fighter ever believes working with the young fighters will be fun. On Tuesday, Silva said he wouldn’t be in Brazil when the show films. "It is true I did get invited, but unfortunately I’m not in Brazil so I’m not going to be able to go down there and help," Silva said on the conference call. "But I think for the sport it would be something that would be great especially because all the guys competing are all Brazilian, so it would be great to go on either team and help them, but unfortunately I’m not going to be in Brazil and not going to be able to help." Sonnen became a huge UFC draw directly because of his trash talk toward Silva before their fights in 2010 and 2012. Sonnen lost both times, but in the first one he dominated Silva for more than four rounds before the then-champ clamped on a triangle and submitted his antagonist in the fifth. After the second fight in July 2012, Silva asked Sonnen to come to a barbecue with him in his native Brazil. Maybe this is Sonnen’s way of accepting.